Not too long ago, commuter bikes were nothing more than a jumbled assortment of mountain bike parts. Today, they’re much different, and you have countless options to choose from. Without the right knowledge, you’re bound to have difficulty finding the best bike for your needs. If you have a job within the city, then there is a good chance that you must commute to work. Commuter bikes are quite common among people who live in a city because it makes more sense to ride a bike. Commuting can be quite a chore, but as long as you have a high-quality bike, the experience should be much more enjoyable. A standard commuter bike combines design elements from road bikes, single speed bikes and mountain bikes, and you end up with a product that is versatile and works well for city commuting. 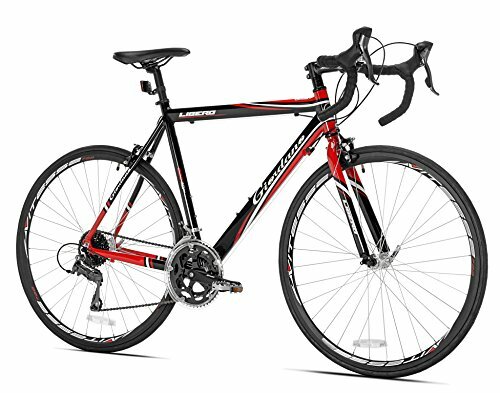 This specialized type of bike offers great speed and doesn’t sacrifice comfort and strength. Some people call it a recreational bike. Commuter bikes are ideal for traveling within city limits because they’re designed to transport you as quickly as possible. In most cases, they’re much more practical than city transportation, and a number of different models can be folded into a compact size. If you frequently travel around the city and need a fast form of transportation, then a commuter bike can help. Below, you’ll find a comparison table and reviews for 10 of the top commuter bikes on the market. Here we have a bike that is designed for comfort. When you’re traveling to work, it’s important to have a comfortable ride. 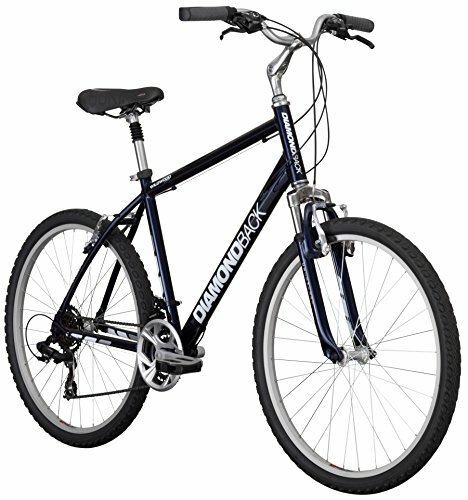 The Diamondback bike is made with 6061-T6 aluminum allow, which provides a strong, reliable frame. It features comfort geometry that delivers the perfect pedaling position. For additional comfort, it’s made with a suspension fork and seat post. It features a 21-speed drivetrain that offer plenty of gears. 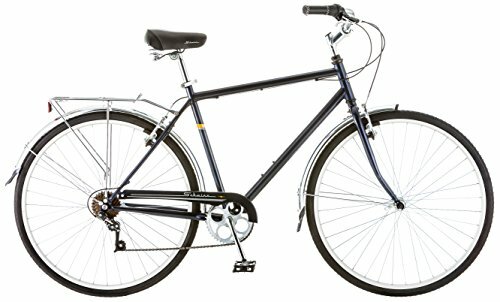 The Wildwood Classic is a top commuter bike, and you can use it to get to work or enjoy some fresh air. It’s even great for a weekend adventure. With advanced comfort geometry, this bike delivers an exceptional fit and makes pedaling much more efficient. When it comes to strength, the 6061-T6 aluminum sets the standard. The suspension helps to cushion the ride and get you to wherever you’re going. The 21-speed drivetrain offers several different gears, which makes the journey easier. This is a popular bike from Schwinn. 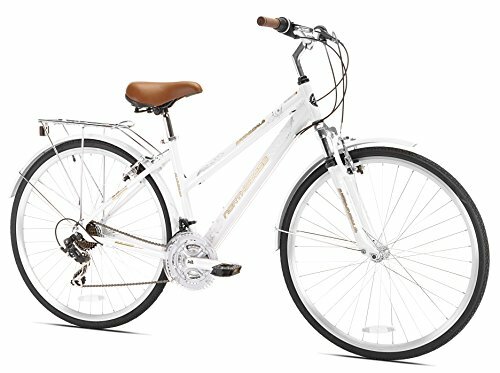 It features an aluminum hybrid frame and has a Schwinn suspension fork. 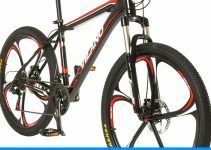 It has a 21-speed Shimano rear derailleur and comes with EZ Fire shifters. The allow rims are strong and lightweight, and they have a front quick release. The seat is padded for comfort, and the Schwinn Siro also has a suspension seat post, which increases comfort. The swept-back handlebar is ideal for an upright riding position and offers great stability. The Schwinn Siro 700c hybrid bicycle is ideal for commuting around the neighborhood or city limits. You can use it to get to work or enjoy a quick ride around the block. The hybrid frame and suspension fork are two powerful components, and they give the bike better stability and enhanced comfort. If you’re looking for a smooth ride, the Schwinn Siro is worth considering. Almost every feature that this bike has to offer is designed for comfort, which is important for a high-quality commuter bike. 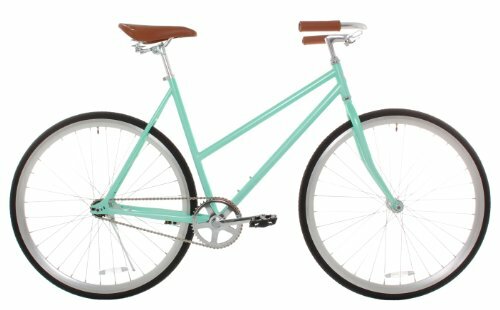 The Vilano women’s Classic is designed for women riders, and it can be classified as a modern city bike. However, it’s different because it features a classic style. It’s equipped with mustache handlebars and has a comfortable suspension saddle. With a track style frame, this bike can slice through the air and get you to your destination. For a stable, comfortable ride, the Vilano Classic is equipped with 700c wheels. This bike features a simple, elegant design. It has a coaster brake, which you can activate with your feet. Since there are no brake cables, the Vilano women’s Classic offers a sleek appearance. The bike also comes with a kickstand and platform pedals. You’ll find that this bike is ideal for urban riding. Mustache handlebars are equipped with comfort grips and deliver a comfortable riding position. The frame is made of durable steel and features relaxed geometry. The coaster brake lets you come to a full stop and improves overall safety. Here is another bike that features a classic style. Since there are several different sizes to choose from, you can find the best size for your needs. This step-thru bike is made with a hi-tensile frame and fork, and it features an upright riding design, which is perfect for cruising. There are several different gears to choose from, so you can find the best gearing option for your situation. This bike is equipped with rear and front alloy caliper brakes. It has a three-piece Crankset and chain guard protector, which keep oil from getting onto your clothes. The Pure City Dutch bicycle is stylish and has several useful features to offer. 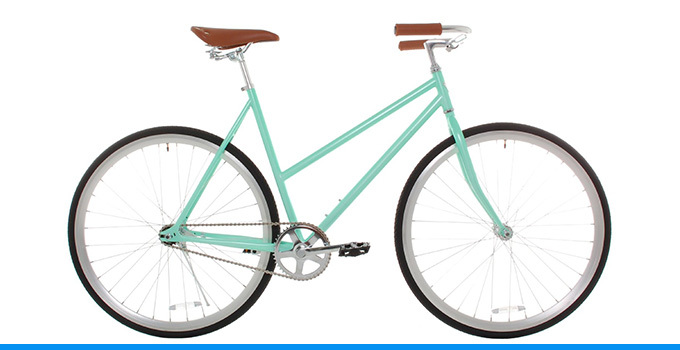 It has a rear rack, reflectors, comfortable leather grips and matching fenders. It even has a leather saddle and springs. A kickstand lets you set it up anywhere and protects the bike from scratches. This bike is designed for city riders and aims to deliver the best riding experience possible. If you’re looking for an affordable commuter bike, this could be a great option for you. The Schwinn Wayfarer bike comes with a lifetime warranty and seven-speed shifters. It has a Schwinn rear derailleur and alloy brakes. With a steel retro frame style, this bike offers a unique style. 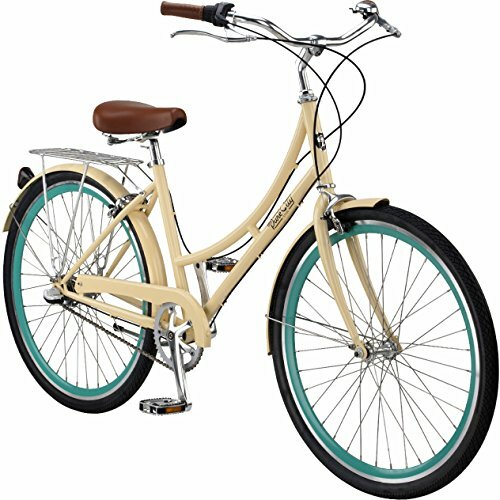 It has a comfortable Schwinn quality spring seat, which is ideal for urban riding. For maximum stopping power, the Schwinn Wayfarer bike has brakes in the front and rear, and the upright riding style will keep you alert and ready. 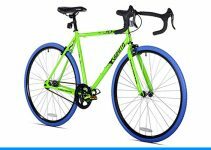 This bike is ideal for riding short distances, and it offers plenty of features that are designed to protect your clothes. Several comparable bikes from competing brands cost significantly more money than this bike. The Schwinn Wayfarer is made with a lightweight steel frame and has stylish welds. The paint job looks great, and the V-brakes deliver plenty of stopping power. Here we have another top model from Schwinn. This commuter bike is made for men and has a strong aluminum frame. The frame is designed for comfortable commuting and offers no shortage of tensile strength. 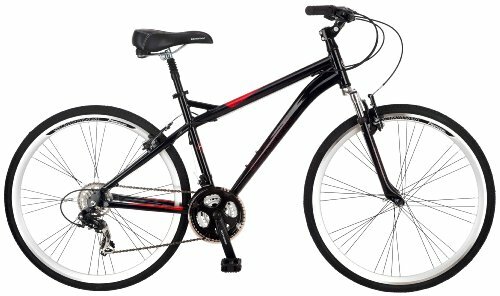 The Schwinn Discover has a strong suspension fork and alloy crank. These components work together to provide a better pedaling experience. The Schwinn Discover has 21-speed SRAM grip shifters, and it has a Shimano rear derailleur. For maximum stopping power, it comes with Promax alloy linear pull brakes, and there is a rear gear carrier. The handlebars are made with an upright swept-back position, and a padded saddle is designed to provide optimal ride comfort. 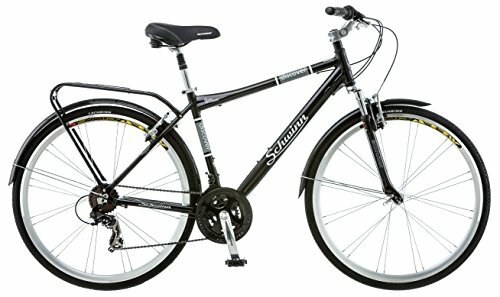 The Schwinn suspension fork is effective for absorbing shock, and the aluminum city frame is strong enough to handle city commuting. Whether you need to get to work or commute through a leisurely path, this bike is designed to get you there. 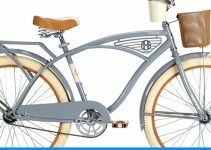 The Critical Cycles Beaumont bicycle is designed for the ladies. It features a hand-built, lightweight frame and keeps you in an upright riding position. This bike is made for urban commuting, exercise and leisurely riding. This could be a great commuter bike for the city, and it has all of the components that you need for a comfortable ride. It features a classic diamond shape and gives you total control over your commute. This bike has a Beaumont-7 and Shimano rear derailleur. It has a RevoShift grip shifter and lets you tear through the gears with superior speed and precision. The RevoShift shifter is designed to make shifting gears much easier and safer. It allows you to keep your hands on the handlebars while shifting. The Critical Cycles Beaumont-7 has front and rear allow brakes, and when combined with a seven-speed drivetrain, the brakes deliver great stopping power and give you total control over the ride. It has 700c Wanda tires, which absorb shock and provide plenty of gripping power. 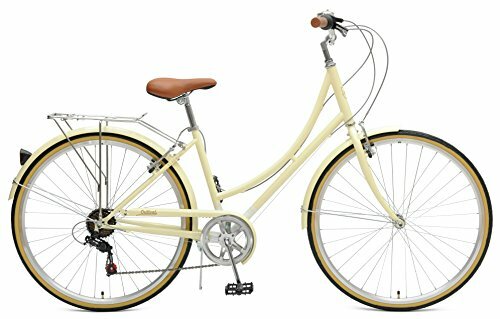 The Northwoods Springdale is another popular commuter bike for women. It features a comfortable, upright riding position, and it has 700c wheels. It has a lightweight aluminum frame and offers 21 different speeds. The Shimano Tourney rear derailleur is made for city commuting. This bike is made with alloy rims and has a quick-release seat clamp. To provide ample stopping power, it has linear pull brakes. The Northwoods Springdale bike has a rear rack and fenders, and it could be a decent option for women who’re looking for a dependable commuter bike. It can be used for commuting or recreational use, and it has a hand-crafted aluminum frame. The 700c allow rims absorb shock and keep the ride stable. It’s made with several Shimano components and delivers a comfortable ride. If you frequently commute around the city, this bike can help to get you wherever you need to do. This commuter bike is available in three different sizes, and it features a lightweight 6061 aluminum frame. It has a road bike design and provides extra ride comfort. The Libero has Shimano Claris 16-speed STI shifters and derailleurs. These components are matched to an aluminum 50-34 compact crank, which makes it much easier to climb hills. The strong aluminum 700c wheels are designed to round out the ride. Depending on your chosen size, this bike will weigh between 27 to 27 pounds, and it comes with a kickstand and reflectors. If you only commute on the weekends, this bike serves as a viable road warrior. However, it’s also made for daily commuting to work. With a strong fork and suspension, it offers plenty of ride comfort and control. All of the features on this bike are designed for commuting and should be much more satisfying than what you’d get from a standard mountain bike. This is another top product from Vilano. It has double-walled 700c wheels and Shimano STI shifters. The Vilano Shadow serves as an entry-level road bike. It’s designed for commuting, club rides and exercise. To make shifting easier, it has shifters integrated into the Shimano brake level. The frame is made of 6061 lightweight aluminum material. An integrated headset helps to balance the ride and provide extra comfort. You can use the Shimano STI shifters for precise control over the bike. A single unit allows you to control the shifting and braking mechanisms. The style of this bike is convenient and made for road commuting. 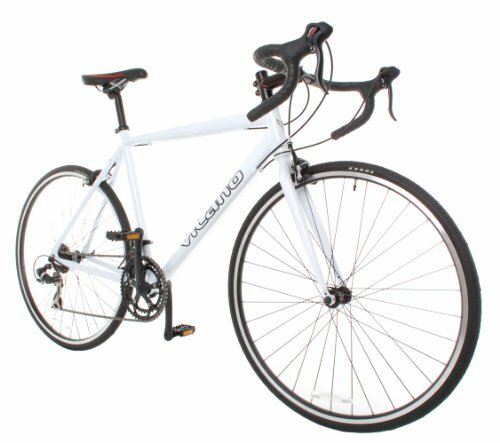 With a variety of comfort features, the Vilano Shadow road bike offers comfort for any type of ride. You can choose the best size for your body and enjoy the tailored features. If you have the right bike, commuting doesn’t have to be a chore. In fact, it should be an enjoyable, relaxing experience, especially if you’re on your way to work. The best commuter bikes offer great ride comfort and aim to get you to your destination faster. They have lightweight frames, precise shifters and powerful brakes. With the right commuter bike, you can travel around the city and get to your destination quickly and efficiently.